The teacher is the source of classroom power, it sees that power as arising from the interaction between students and teachers. If power is owned by the teacher, she is completely responsible for events in the classroom, whether or not she chooses to share her power/control/authority with the students. It takes more than knowing the content to be a good teacher. One of the most important aspects of teaching is building relationships with your students. Teacher-child relationships influence how a child develops. The relationship can relate to a wide range of school adjustment outcomes, including liking school, work habits, social skills, behaviour, and academic performance. RC: My name is Rishita Champawat. RC: My batch year was 2014-15? 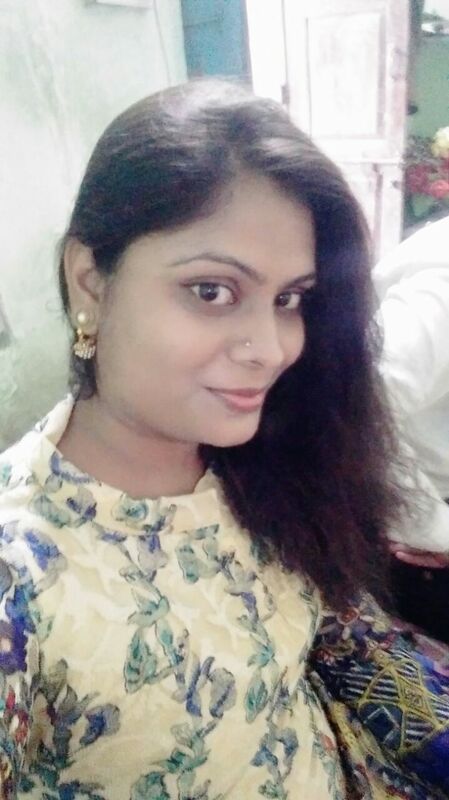 RC: My batch mates were Aditi, Silvi ,Dipendra, Rahul, Manvendra. ED: Have you ever participated in any activities, tournaments? RC: Yes, I have participated in basketball, races, debate. ED: What are your present qualifications? RC: I have passed XII and am doing coaching in NEET. ED: What was your experience at Fabindia School? ED: Will you like to give any message to your juniors, school, or friends etc.? Monday, 18th December: Staff had PDP Session on that day. Mr. Ajay Vijaywargi read out a thought ‘Seeing with New Eyes’ from the book “Can We Teach a Zebra Some Algebra “by Debashis Chatterjee”. Staff then discussed their opinions, gave their views and uploaded a writ up with graphics and photo in Alchemy of Learning. Mr. Ajay Vijaywargi have started uploading up these writ ups on the blog of Brewing Knowledge Newsletter. Mr. Krishen Gopal read out a thought "पूर्णता पाने की कोशिश करें"from the book "आइसक्रीम मेकर" से सुबीर चौधरी I Staff then discussed their opinions, gave their views and uploaded a writ up with graphics and photo in Ice Cream Maker. Staff bid farewell to Vimmy Rajpurohit and Vineet Kumar. May God bless them and have prosperous future. Mr Bhairav Singh/ Grandparent of Vaibhav Singh/ HKG was selected as the Parent this Week. He related a motivational story to the students in the Assembly. BS: I am a retired teacher. BS:: My one ward is studying here. BS: Yes I have achieved my goal I wanted to become a teacher and I became so my goal is completed. BS: I expect from my child to be devoted to the country and be respectful towards his or her elders. ED: What do you expect from the school? BS: I expect from the school that students of this school would achieve their goal in future. BS: I would like to give message that they should always be respectful. ED: How did you like visiting the school back? BS: It will be a great honour for me to return back to this school. Monday, 18th December: The whole week was celebrated as Math Week. A number of activities were organized by the Math Department both in the Assembly and classes. Mr. Suresh Negi/ HOD Math told this week was celebrated as Ramanujan's birthday who was one of the famous mathematician. He told some special things about him. Mahendra Parihar/VIII B/DH: Spoke about Ramanujan. Archana Koratkar/VIII B/GH: Spoke about Arayabhatta. 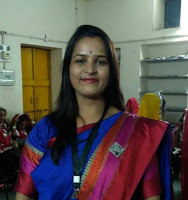 Charu Vaishnav/VIII B/DH: Spoke about Pythagoras. Vinita Sirvi/VIII B/GH: Spoke about Thales. Aishwaryapal/VIII A/TH: Spoke about Euler. Yukti kansara VI B/RH: Spoke on faces, edges, vertices of cube by the help of dice. Durgeshewari/ VI A/DH: Spoke on faces, edges, vertices of sphere by the help of ball. Dinesh Megwal/ VI A/TH: Spoke on faces, vertices, edges of cylinder by help of marker. Meenakshi Sirvi/VI A/DH: Spoke on faces, vertices, edges of cone. 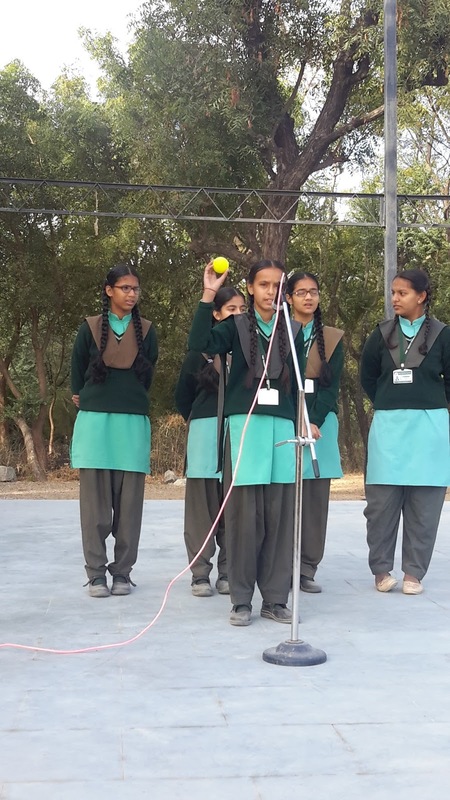 Riya Vaisnav/VI A/DH: Spoke on faces, vertices, edges of cuboid by the help of duster. Khush Vaisnav/VIII B/DH: Spoke the define of face, vertices, edges. Chirag Sharma/ VIII A/ RH: Explained the Euler's formula = F+V=E+2. Uma Choudhary/IX/ DH: Spoke about Theorem of circle. 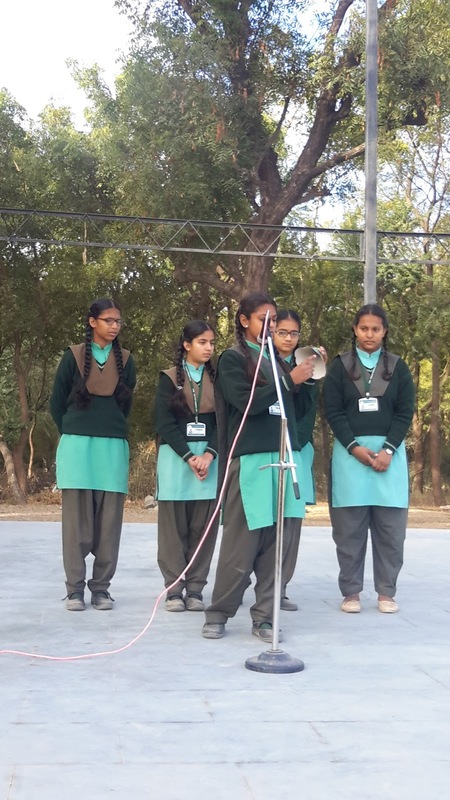 Diksha Choudhary/ IX/ GH: Spoke about sector of the circle. Neetu Deora/ IX/ GH: Spoke about Theorem of circle. Mr.Suresh Negi/ HOD Math told that day was celebrated as Ramanujan's birthday. He was one of the famous mathematician. He told some special things about him. 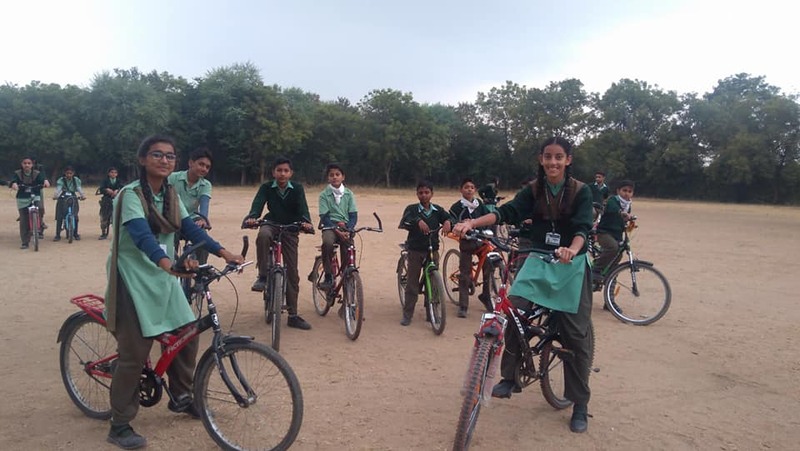 Thursday, 21st December: After a long wait and practicing for a fortnight the day came when the students went on their cycling expedition to Boya, Sokra and Perwa. It was 20 km run from School. They were flagged off by the Principal Ms. Rajeshree Shihag. They enjoyed a lot and had fun on the way. All returned to school at 2.30 PM safe and sound. The cycling students accompanied the students who took out an Awareness Rally in these three villages. 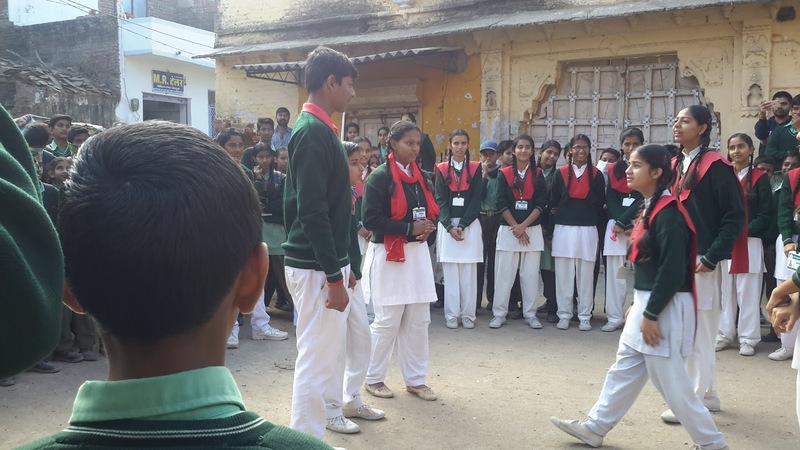 Street Play was enacted by the students in these villages to educate people about the importance of having good health ways to keep the surroundings clean.. The students gave the message how the villagers can stay fit and healthy, keep themselves away from diseases. 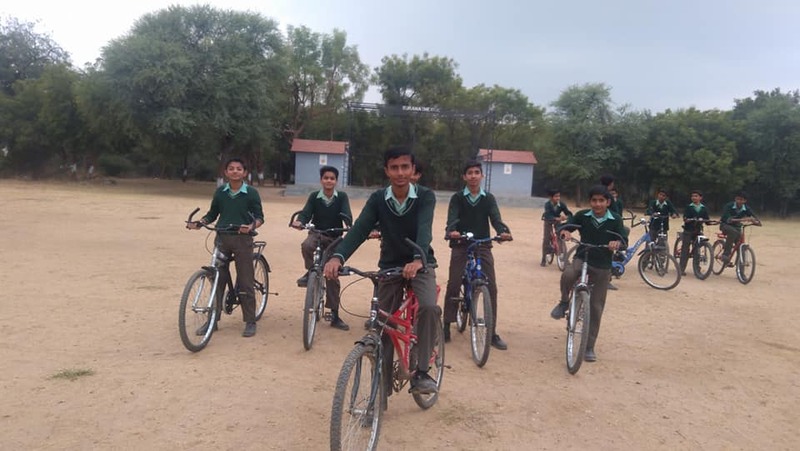 Friday, 22nd December: Cycling, Awareness Rally and Street Play students went to other three villages Kot, Mundara and Sadri. They covered an area of 25 km from School. There too students gave the message to the villagers to stay healthy and fit and avoid eating junk food. The students told them to keep a healthy and clean environment. 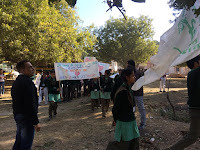 All their teachers, Principal and Swati Sood escorted the students. 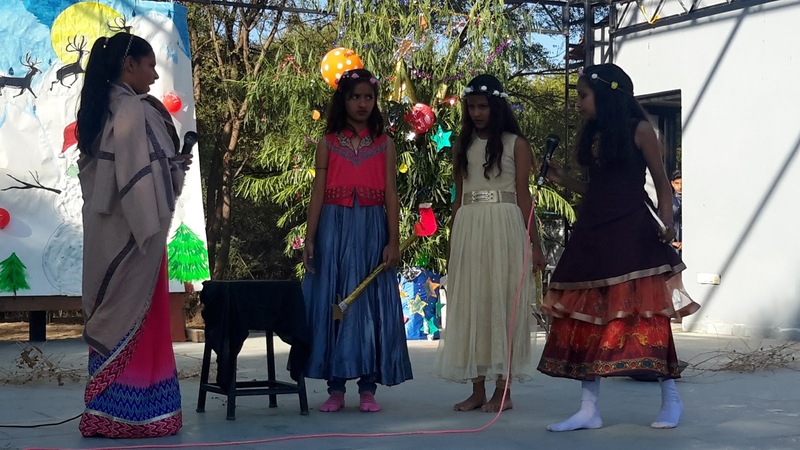 Saturday,23rd December: Class III-V put up a Nativity Tableau on Christmas celebrations. The school saw Christmas Father too jingle-a-ling while students sat watching the play. He hugged, shook hands and gave presents to wish all a Merry Christmas! 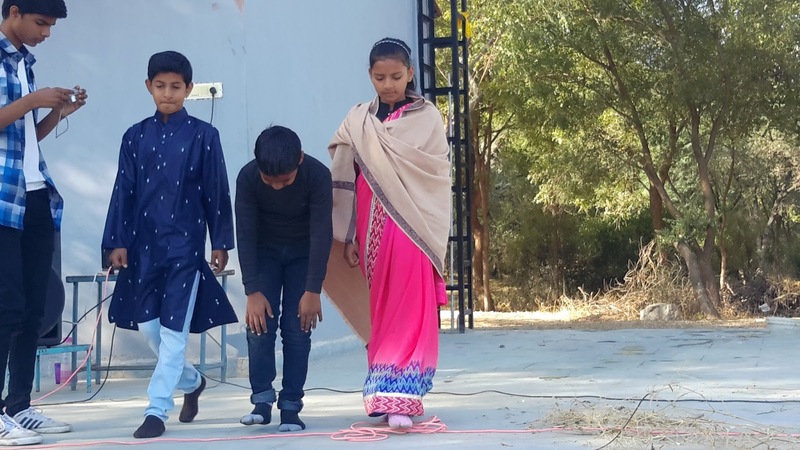 After the skit the students gave individual dance performance. Then the students enjoyed the day by dancing with their classmates and teachers. Chocolates were distributed to all. The School is closed for Winter Vacations from 24th December to 7th January, 2018. We will be back with more news and views on 15th January 2018. 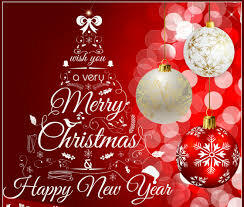 The School Weekly wishes its readers A Merry Christmas and A Very Happy New Year. Keep smiling and keep healthy. What if everything you know about innovation is wrong? What if the way you are innovate is incorrect? What if the questions asked in are all wrong questions? It's time to innovate the way you innovate. As an educator or learner we should start innovation in the classroom by brainstorming activities. We should create an environment or increase the creativity in students so they can solve problems and learn something better, which is the goal of innovations. 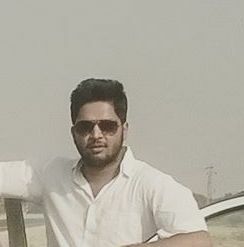 Prateek Singh Udawat studied in The Fabindia School in the session 2014-2015. His batch mates were Rishiraj Champawat, Khushboo Punmiya, Shraddha Kansara etc. He passed his XII Commerce in First division. Then he appeared in CLAT and fared well in it and is nowadays is doing his LLB from Himachai Pradesh National Law University, Shimla. He remembers the schooldays and his friends and teachers a lot. Monday, 11th December: Staff had PDP Session on that day. Mr. Ajay Vijaywargi read out a thought ‘Eye Specialists’ from the book “Can We Teach a Zebra Some Algebra “by Debashis Chatterjee”. Mr. Krishen Gopal read out a thought "रचनात्मकता को पुरस्कृत करे" from the book "आइसक्रीम मेकर" by सुबीर चौधरी I Staff then discussed their opinions, gave their views and uploaded a writ up with graphics and photo in Alchemy of Learning. Two of these writ ups have been uploaded in the Brewing Knowledge and Learning Forward India. Mr. Jafar Khan/ Educator was selected as the Teacher this Week for his dedication, sincerity and discipline towards his work. 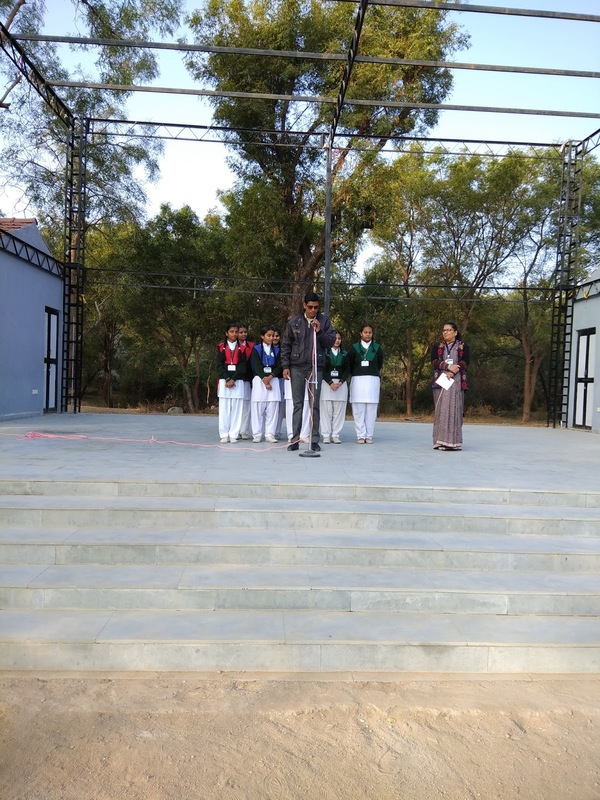 He related a motivational story in the Assembly and gave the message to the students to never give up and try and try till he achieves his goal. To hold the tiny gem. Monday,11th December: Unit Test III started for Classes I- XI. Teachers became busy in corrections. UT III ended on 15th December. 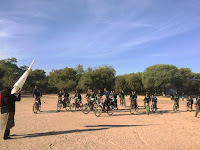 Monday,11th December-Saturday, 16th December: Class V-XI students went practicing cycling every morning after UT III to prepare for their cycling trip. Around 60 students escorted by Mr. Tarun Mishra, Mr. Vineet Kumar went cycling to nearby places like Dantiwara, Boya, Mundara, Falna, Perwa, Lunawa etc. to develop strength. Mr. Jafar Khan and Mr. Suresh Negi are other teachers who have joined the expedition. Wednesday, 13th December: Pre Boards I started for Class XII. 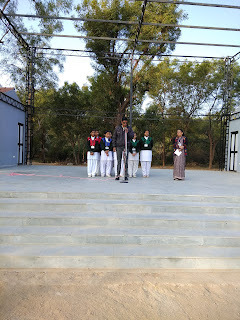 Saturday, 16th December: The School observed an Activity Day. Students of Primary Classes had Reading Project, GK Classes, Watched movie and had Sports activity. Students enjoyed the day. Students of Class V-XI had their Reading Project and then they went for their cycling practice.